TZ: How did you get into forex trading and where did you learn it? FT:I was introduced to forex trading by a friend of mine because I needed some financial liberty. I didn’t want to go to a job and have my time give me money. I wanted something to invest in and originally I was looking into real-estate but then that seemed like a long-term thing where you need a lot of money to get into it. I looked into stocks, I couldn’t find anything on Zim Stock Exchange and then I was introduced to forex by a friend of mine. He was teaching me about how he is doing things and how he is getting money. It’s basically been about 3 years now since I got into forex trading and two years were dedicated to learning. TZ: Have you ever encountered any problems when you collect your money and how do you get your money? Do banks allow you? FT: So what happened is; I started forex just after the implementation of that monetary policy that stated that US dollars don’t leave the country or something like that. I think it was just a month before that. I started actually doing the real accounts work – forex allows you to have demo accounts. So what happens with you forex is that you’re not just going into a market and just saying, “I’m selling USD!” There’s what we call a broker; who/which is like a a site or a person that gives people a platform to sell and buy currencies. The broker is like a big bank where people just sell and buy. It actually just a big account, so you can deposit your money with a broker and at every minute someone is looking to buy or sell so you’ll never fail to find a buyer. You just click a button. TZ: Can anyone enter into forex trading? FT: Yes! The truth is anyone can enter into forex. All you just need is some money and a well-regulated broker. Some brokers are regulated whilst others are not. If you pick an unregulated broker you’ll face a lot of challenges such as scams, abrupt change of policies or actually just closing down without any notice and then your money is gone. Brokers need to be regulated and you can usually find this on their site. Some of them are in the UK, America, SA. They also need to be linked to the New York Stock Exchange, or London Stock Exchange. My advice would be to look online. There are so many brokers and I can give examples; XM, JP Market from SA, IQ Options for those in binary options but I don’t recommend binary options because it’s more like a gambling mentality. With binary options you are prompted to guess on the market movement; basically, you are being asked to choose if the markets will go up or the opposite. If you are correct you get some money but if you’re wrong you don’t get anything. In terms of brokers, I use Tradersway. It’s regulated in America and its a very good broker. They give me my money and it takes just about 3 days for RTGS transfers to South Africa. It takes less than 24 hours for a card transaction – to withdraw the money into a Visa or Mastercard. 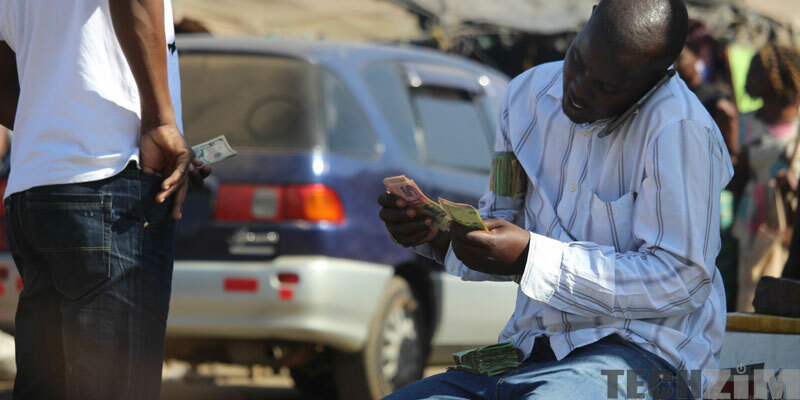 TZ: What would you say to a person considering forex trade? FT: Anything you invest time into you really profit from it. It’s not easy money like what most think. I think it’s something you put time into, something you can profit from it, like what mechanics do taking time to learn how to change gearbox the same applies to forex. Though Zimbabwe doesn’t have many courses right now a lot of people who are successful have testimonies of how they worked alone. So, an aspiring forex trader should look for a lot of books. Google offers a lot of good advice. Just search “forex trading books” and then look at the top rated books and authors. Take time to study and learn the markets from the various type of trading and when you are ready open a demo account which is free and doesn’t use real money. Trade with this account for about 6 months and once you’re consistently good at trading you can open a real account. I learn the hard way. Most people enter into trading with a gambler’s mentality for instance, when I started trading a opened a demo account and in two weeks I had raise that demo account from $10 000 to $ 30 000 and I thought I was really good. So I put in real money. I put in about $10 and I was making some really wild trades. I pulled that account all the way up to $180 in about a fortnight. So in two weeks I had made more than $170 dollars but then the next week I blew the entire account. Then I deposited a $1 000 which was the only money I had and within a month I had blown that account. I was making a lot of wrong trades and I was so emotional and then I learnt that we don’t trade with emotions. We trade with strategies and targets. I took another year of learning only. No real money or anything else. I was trying out systems, having a consistent trading pattern and doing things the correct way. I then decided to deposit real money and now I can earn a living through forex. I can get enough money to pay rentals, get a car. It’s good money but because I put in the time and because I put in the investment and it got me results. So, aspring traders; it’s really good but you have to be emotionally stable know your targets, know your strategy and stick to the plan. If you lose tomorrow you’ll win but if you lose its because the markets that day. Two losses, stay away from the market. If you lose its because that day the markets were bad. I think two losses stay away from the market; the next day you’ll win. You will succeed. TZ: Is it risky & is it easy money? FT: Yes, it is, because forex attracts gamblers. The picture that forex is given by a lot of people is; you get a lot of money very quickly. A lot of people then look at that picture and they are like, “There’s a friend of mine who made $3000 US Dollars in a day. I think forex is the way to go, it’s quick money.” And because that’s the case, many of the people that get into forex already have that gambling instinct and a gambling mentality. It now becomes risky in that the quicker you make money, the quicker you will lose it. That’s just the math. You trade on charts… We use charts to trade, you analyze a chart and then you place a trade, but these charts are divided according to different timeframes (i.e. 1 min, 5 min, 15 min, 30 min, 1 hr). So, if you trade on the one-minute timeframe small changes in the currency can get you money but then you have to risk a lot. We call this lot sizing – you have to risk a lot to get a lot. And then there’s the other set of people. In forex, there are day traders, scalpers and then there are investors. Investors are looking at placing a trade for weeks/months. The day traders are looking at placing trades for a day or two or one week. There are also swing traders who are looking to buy the ups and downs of the market perhaps in a day. Finally, there are scalpers. Those guys face the most risk because they want to get everything from the market in… like 5 minutes. So, the thrill is; sometimes you can be successful for 5 minutes. You will be thinking, “Hey! I made some money here. An hour ago I had $200 and now I have $500. This thing really makes me money and if I continue to do this 5 more times, I can be a millionaire by tomorrow.” This is possible in forex but there are very low chances of success at that rate because you’ll using forex as a gambling tool. As you know with gambling there are odds and you don’t win all the time. The house eventually wins. The statistic is 98% of traders fail. They blow their accounts and then they quit. In essence, its risky if you enter with a gambling mentality but if you enter with a learned mentality, analyze your chance and you don’t treat forex as a gamble. You are there analyzing the charts (with your pen and paper) and you’re following the news and you target longer time frames (i.e. placing a trade and checking after 3 days) you get your steady profits and then that’s it. TZ: How big is the online forex trading community in Zim? FT: When I checked on IQ Options I saw about 750 Zimbabweans that were using IQ when I was using it. The number grew up to 2000 at one point but I think there are about 1 500 Zimbabweans trading using IQ Options. But remember this (IQ OPtions) is one broker out of like a thousand other brokers. I think the trading community in Zimbabwe is huge BUT the problem is; they don’t have facilities that offer trading training. There are no communities because you can’t trade alone. You need companions to trade with and give each other advice. Because of this, I think many traders are failing as they don’t have a platform to learn. Otherwise, forex is the biggest market out there and truthfully speaking in Zim the drop in forex on a larger scale and if a lot of people could get training it could raise even the potential of Zimbabwe because you’re making money out of the country and you’re just bringing it into Zimbabwe. It can change the economy. GREAT!, been wondering, how do you open a South African account here in Zimbabwe? Perhaps TZ will allow a guest article on Non Resident Accounts and Boarder less Accounts. Watch out for ZIMRA and reserve bank with offshore bank accounts and offshore money making! It is quite interesting. l like it. Excellent stuff. Thank you techzim. Could you possibly get more details on some of the questions posed in the comments above? thank you for the interview, if you can check with the trader how he managed to open the South African account. l am struggling with that part of funding your account and withdrawals. also reliable internet connection at affordable rates is another important aspect, can he clarify how he managed to overcome this challenge. With Zim, at least try to have two internet options. You can imagine one goes out whilst you got open trades or you want to close trades – the loss can be enormous. Yeah didn’t think of it from that perspetive hey.. That would be a waste lol. @Kudzi which bank do you use to fund your account or make withdrawals. l have been using FBC prepaid mastercard but hate the fact that it its not a personalized card and can be problematic when opening a new broker account. I think there has to be a drive to raise awareness of forex trading in zim and government must be clear on its position if they regard it as legal. Then you may get broker registerd in zim and registered institutions to teach forex. I am based in SA and trading is very far ahead in SA because it is legal and you do get courses although not from registered institutions but there is a big trading community and ofcourse scams are also there opportunistic. Kudzi may I have your contact details.I am very interested in online trading.